Hard to believe I was seriously walking around short sleeved in the mountains last weekend and not even that cold! Pictures taken in Saanen, a cute little village near Gstaad. If, (like me) you’ve been holding off as long as possible, now is the time to finally get one. Spring 2019 sees the jumpsuit trend climbing new levels. Rising from the “should I get one modus”, to becoming a “Spring wardrobe basic”. Not only does the jumpsuit rule for Spring 2019, there are also 3 basic rules to follow to getting your jumpsuit look right! Avoid florals – yes florals have featured large recently and you still find them flooding the high streets. However if you want your jumpsuit to last a few more seasons to come it’s time to ditch the floral look. A collar is essential – make sure your jumpsuit has a lovely stiff collar that can either be turned up or down. You’ll thank me for this tip I promise! Belt it – a jumpsuit without a belt is simply going to make you look like Pooh Bear! Atelier Avanzar – a bag label created by Margarita, a lovely woman from Ecuador now living in Switzerland. All of her bags are hand made in Ecuador by local women. There is also a special Avanzar foundation that has been set up and profits from the bags go to this foundation which supports sick children and women in need in Ecuador. 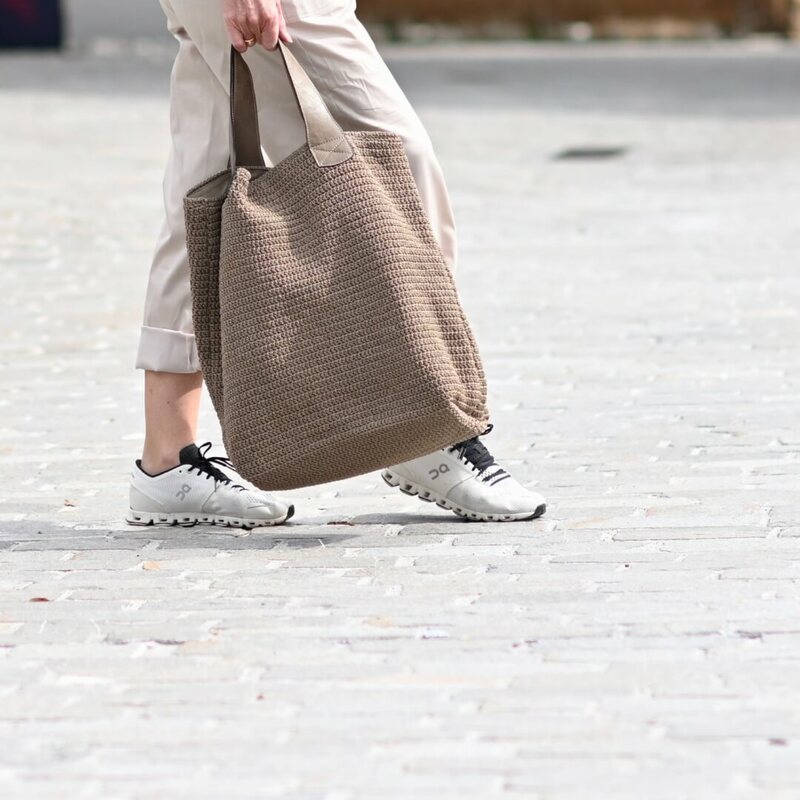 Every bag is unique and made on demand according to individual customer colour and fabric selection. Available online and selection is also available in Paradis des Innocents in Zurich. 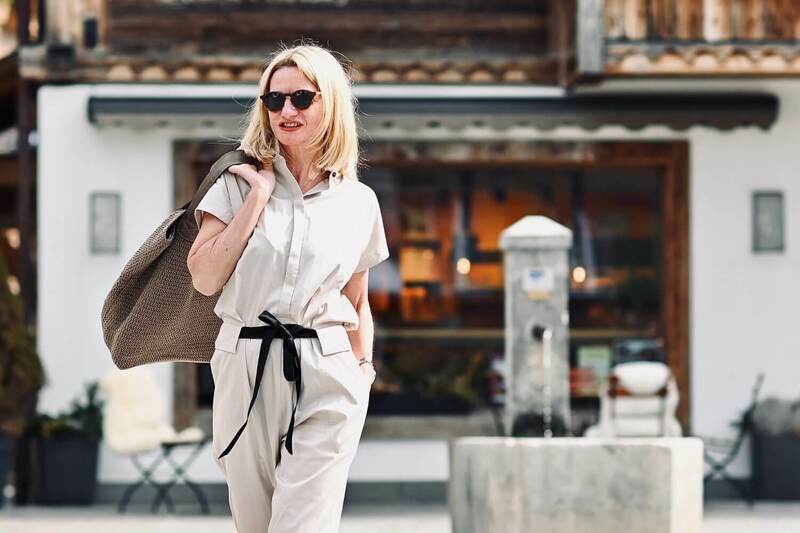 Back to the jumpsuit – it’s not a rule but going for a neutral tone combined with white is one of Spring 2019 most favoured combinations. Thanks for these tips! I am looking for a new jumpsuit! Such a great idea – just like for babies – hehe!